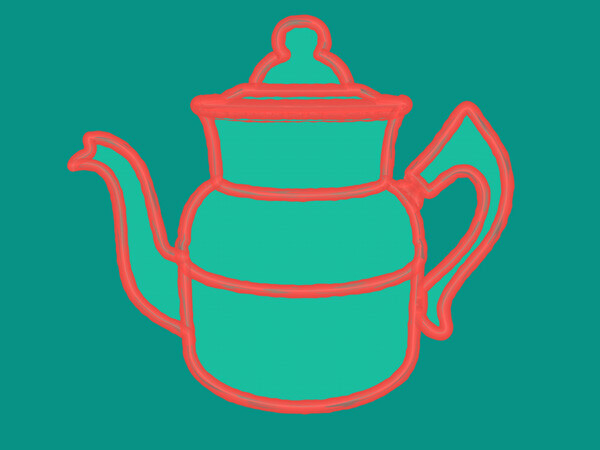 I've always loved the old coffeepot I inherited from my French-Canadian grandma, or Memere, as we call them around here. 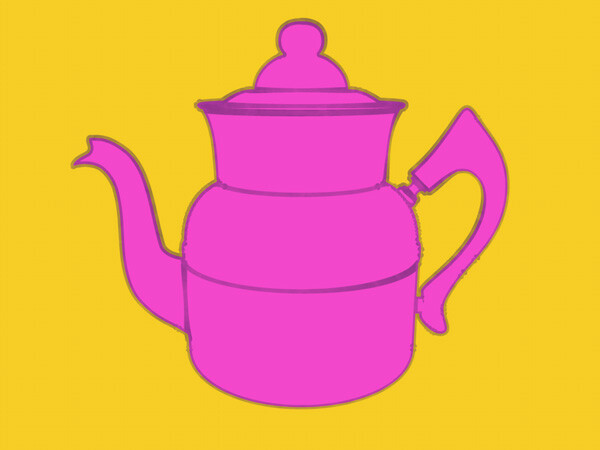 Over the years it's been the inspiration for quite a few images including this recent poster design inspired by heroic household object posters from the mid-20th century. 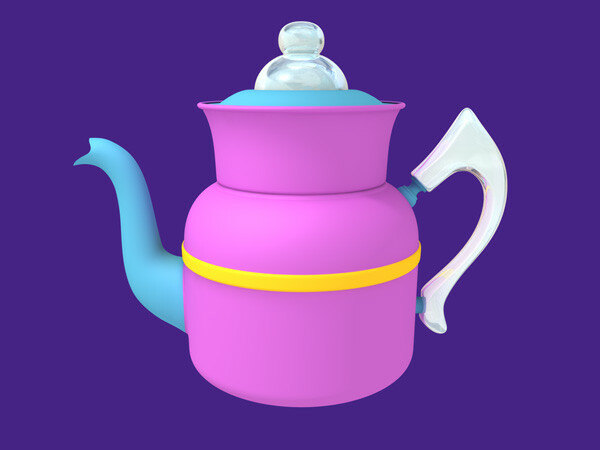 I remember Memere Eva every time I create a piece based on the pot. 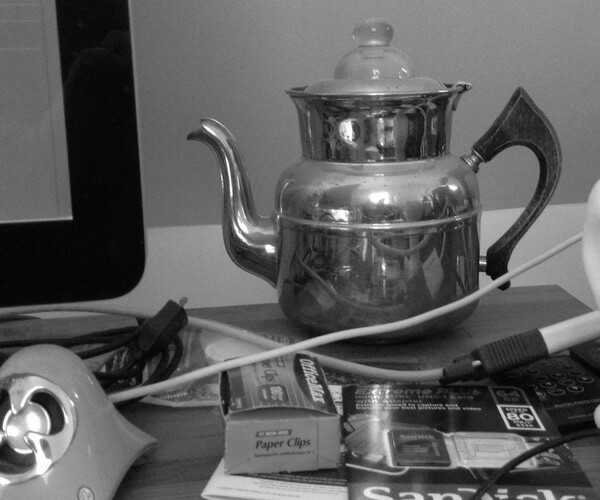 The original coffeepot (or more specifically - percolator) sits in a place of honor on my studio desk, always reminding of my French-Canadian memere, Eva (Landry) Perreault. 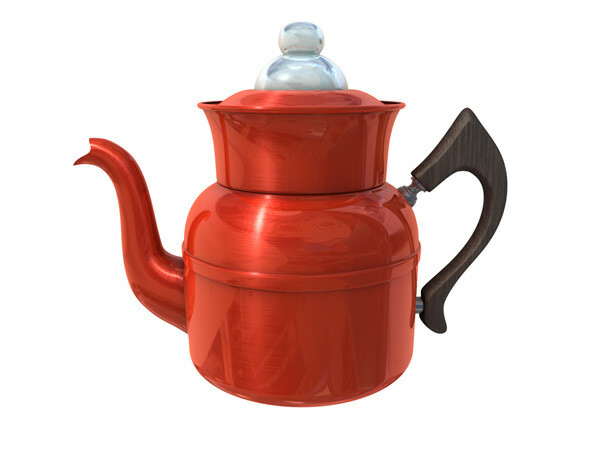 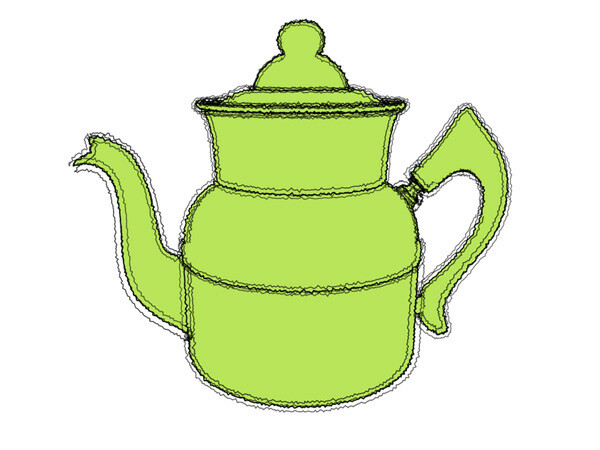 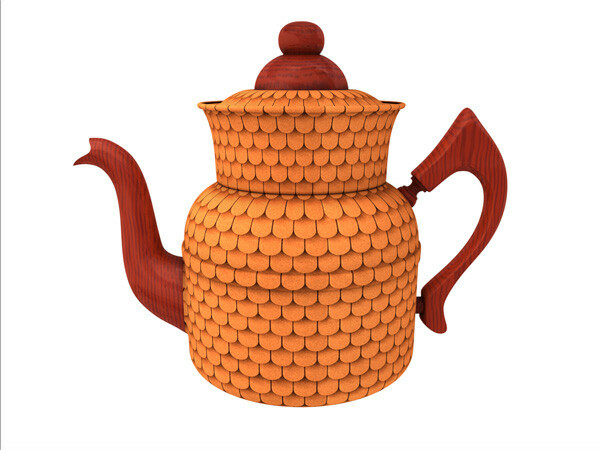 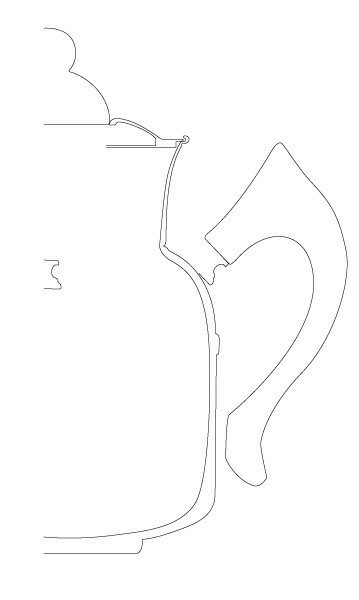 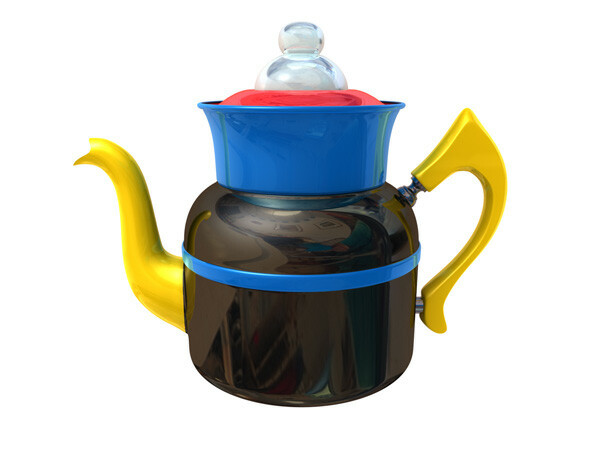 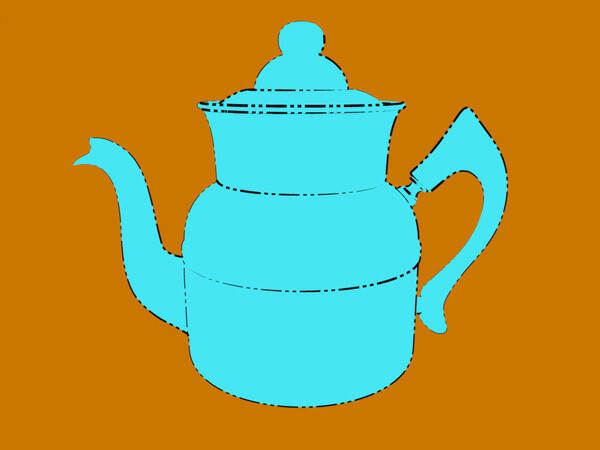 Wanting to model the coffepot in 3D to try out various ways of making images with it, I first created some vector splines in Adobe Illustrator to use as guides and/or the basis for lathing in Cinema 4D. 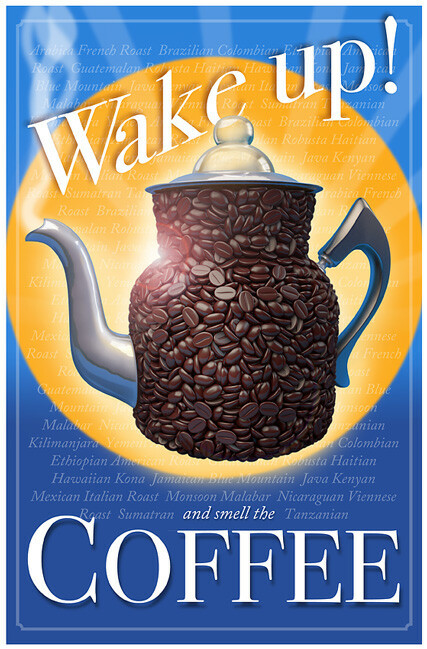 For the Wake Up! 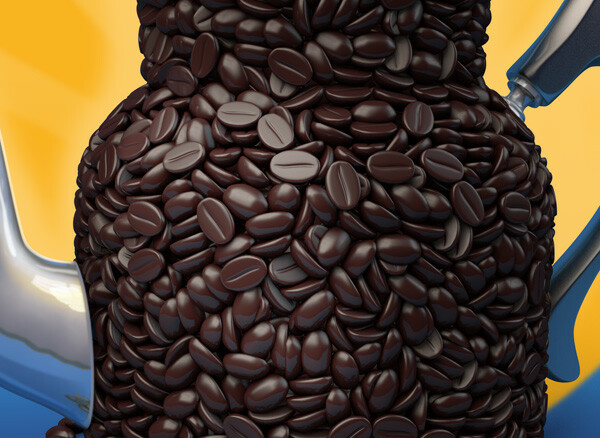 poster I decided to use coffeebeans in the form of the body of the coffeepot. 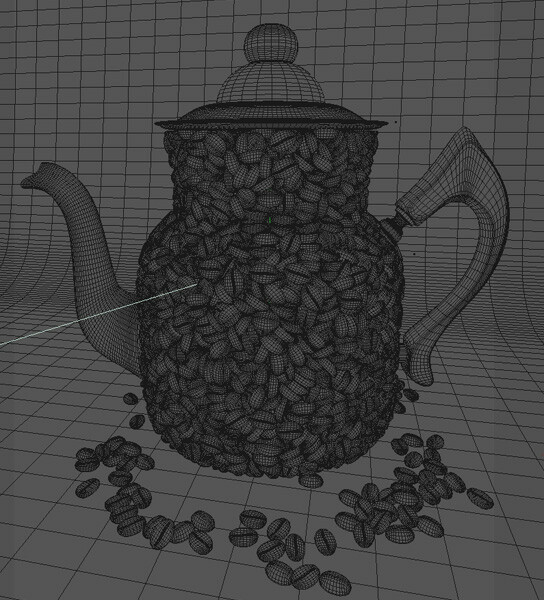 A perfect situation to use C4D's clones and dynamics system. 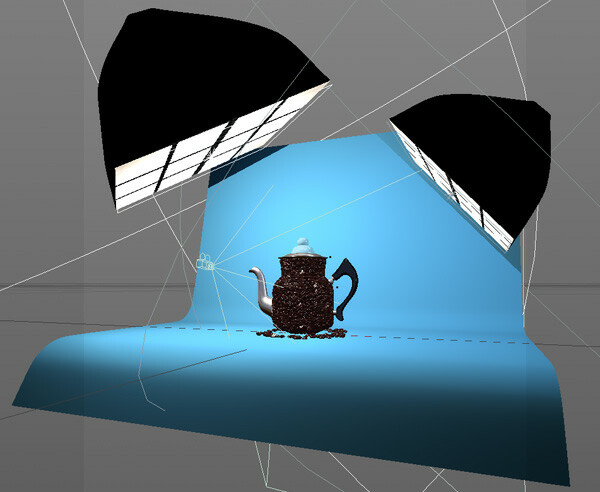 The lighting set up for the initial render of the coffeeBean pot. 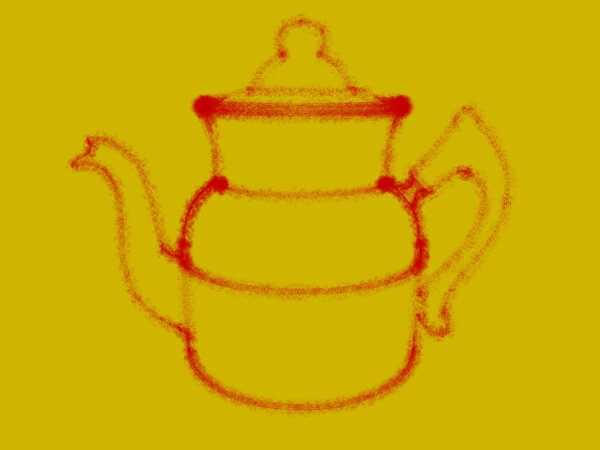 Detail of the final poster.